ThomasSpurlin.com: Is 'The Neon Demon' Shallow Beauty or Beautifully Shallow? Is 'The Neon Demon' Shallow Beauty or Beautifully Shallow? With doe-eyed, curly-haired innocence, The Neon Demon woks hard to convince the audience of an unshakable fact that transcends the concept of a "beholder": that the draw and power of Jesse's beauty is something to marvel and obsess over, creating an unavoidable gravitational pull toward her. The narrative about her virginity, quickness of growing up and adapting to the cutthroat industry are often too on-the-nose to be taken seriously, overly mimicking the kind of surreal dramatics found in director Refn's influences: a pinch of David Lynch here, a dash of Dario Argento there, and so on. Yet, the persuasiveness of his stylized, operatic craftsmanship sell the illusion, framing Jesse's naive one-liners with gob-smacked melodramatic reactions to her presence that gradually work their magic, both upon the audience and upon Jesse herself. 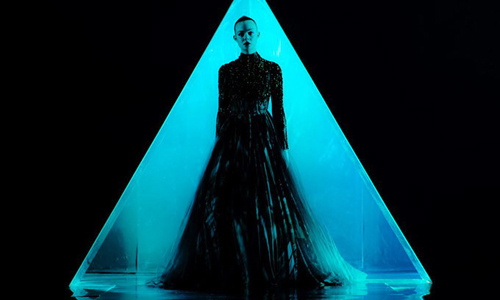 The Neon Demon transforms into a glimpse into the mind of a girl whose outward appearance is both her invaluable and sole commodity, illustrating how she surrenders to confidence and egotism with each rung she climbs. Like her career, the change in Fanning's facial expressions are almost immediate, punctuated by trippy abstract visuals that make her transition into something physical that the audience can observe.